March 2019 Barnyard Newsletter and Calendar! New Beginning and Small Farmer Bills Introduced - Take Action by March 14! Thanks to the work of Friends of Family Farmers, new bills have been introduced in Salem to address challenges faced by beginning and smaller farmers in accessing land and capital. Three bills are scheduled for a public hearing at 3pm on Thursday, March 14 in the House Committee on Agriculture and Natural Resources! HB 3085 – Creates a new Family Farmer Loan Program to offer direct state loans to family-scale farmers and beginning family farmers for land or equipment. HB 3091 – Reduces fees and costs to borrowers using the state's existing 'Aggie Bonds' beginning farmer loan program. Aggie Bonds was set up in 2013 to incentivize lower-interest lending by private parties to beginning farmers and ranchers for land and equipment. You can help us pass these bills by emailing a letter of support for HB 3085, HB 3090 and HB 3091 to the committee before the Thursday hearing. Read more and find out how to submit a letter of support at our most recent Muckboots in the Capitol blog post. A fourth bill – HB 3092 – would establish a new, statewide beginning farmer tax credit to incentivize leasing land to beginning farmers and ranchers. This bill has been sent to the House Revenue Committee but has not yet been scheduled for a hearing. Sign up today to attend our Family Farms Mean Business rally and day at the Capitol on Wednesday, March 27 to support these and other bills. 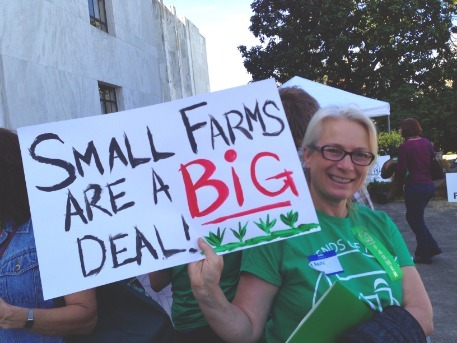 On Wednesday March 27th, 2019 we will be holding our biennial 'Family Farms Mean Business' Rally and day of action at State Capitol in Salem. This event is for farmers, ranchers, eaters and all those who are part of the Good Food movement. It will feature morning policy presentations, a rally on the Capitol steps at midday, and meetings with your Legislators. There will even be a special Farmers Market inside the Capitol. A continental breakfast, lunch, and facilitated transportation will be provided for those who RSVP by March 20. 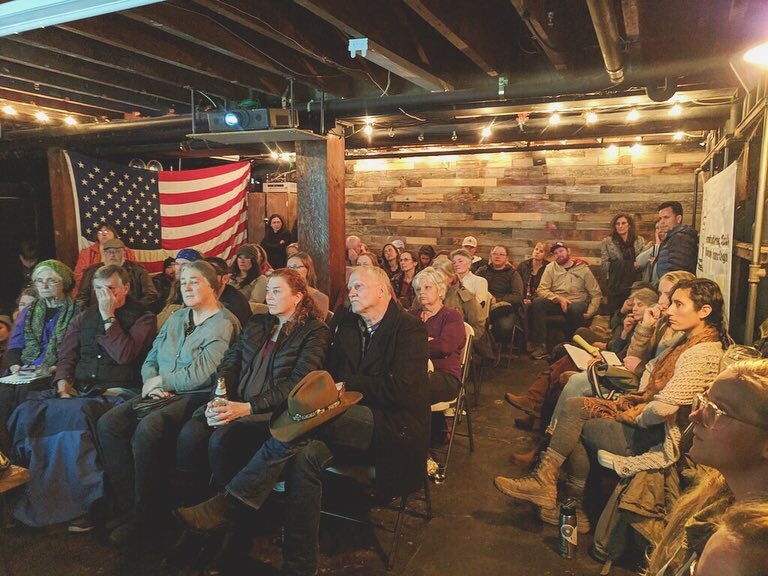 Oregon's State Legislators and other decision-makers need to hear from you - join us for the day in Salem on Wednesday, March 27 and together we can show them that Family Farms Mean Business! Sign up to attend at the link below. Yes, I Want to Stand Up For Family Farmers - I'll be at the State Capitol on March 27! Please Donate to Support the Family Farmer/Rancher Day of Action! In 2017, Oregon regulators approved the controversial 30,000-cow Lost Valley mega-dairy near Boardman, Oregon. Opponents pointed out that Lost Valley was located in an area with contaminated drinking water and declining groundwater supplies, and that a 2008 program to require mega-dairies to reduce their air pollution was not in effect. Further, a growing number of mega-dairies are flooding the market with milk, driving down prices to historically low levels that are putting family farms out of business in Oregon and across the country. Now, the Oregon Legislature is considering putting a 'time-out' on permitting new mega-dairies, as well as reforms to protect family farms, water supplies, and clean air. Take action today to support a moratorium on new mega-dairies in Oregon! The voice for Oregon family farmers that responsibly steward their land and feed our communities.